2. Place vegetables in a large bowl, lightly drizzle with olive oil, and toss to coat. 3. 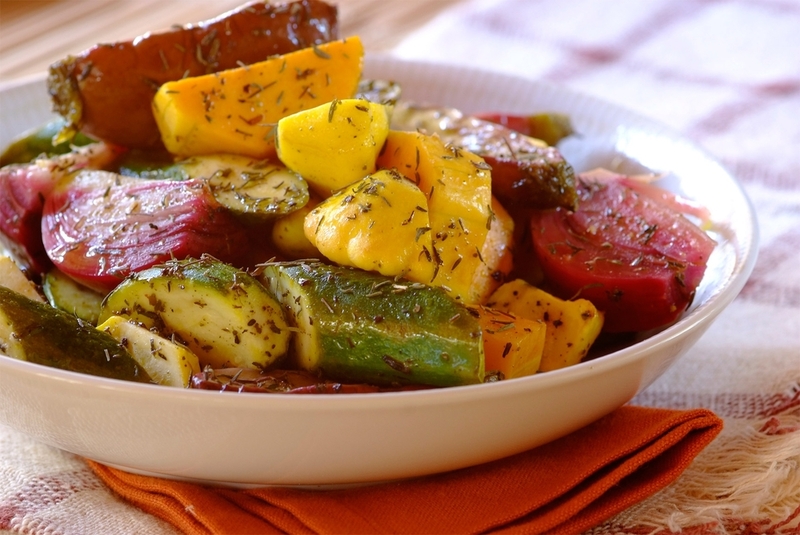 Spread vegetables on baking pan, sprinkle with seasonings. 4. Roast for 25 minutes or until all vegetables are tender.